Attorney Benjamin D. Brand was admitted to the State Bar of Wisconsin in January, 2017. Attorney Brand is a proud double Badger, earning his Juris Doctor from the University of Wisconsin Law School and a dual degree in Political Science and History from the University of Wisconsin-Madison. While attending law school, Attorney Brand was a Managing Editor of the Wisconsin Law Review, Wisconsin's oldest and most prominent student-run scholarly journal of legal analysis and commentary. 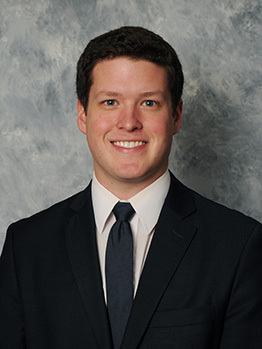 He was an avid competitor and coach on the Wisconsin Moot Court Board, earning the award of Best Brief and Best Overall Competitor in the University of Wisconsin's 2015 internal moot. Attorney Brand was also the Vice President and co-founder of the State and Local Government Law Society, a student-led organization working to bring legal advocates and public servants together to engage in a productive dialogue on the countless legal and political issues impacting Wisconsin residents. As an undergraduate and law student, Attorney Brand volunteered his time with the Wisconsin Innocence Project, a legal organization dedicated to the exoneration of wrongfully convicted criminal defendants through new advances in scientific and forensic analysis. Attorney Brand is a native of Oshkosh, Wisconsin and enjoys giving back to his local community through his service in the legal profession and as a community volunteer. Attorney Benjamin D. Brand focuses primarily on issues involving real estate transactions, business and employment law, and estate planning.